One of Johns Island’s few gated communities and certainly one of its most conveniently located, Grimball Gates offers outstanding homes with outstanding amenities just two miles from US 17. Located off of Chisholm Road, homes here were built form 2002 to 2011 and feature 3 to 5-bedroom floor plans with between 2,500 and 4,000 square feet of living space. Many of the large Lowcountry style homes are on raised foundations and feature brick or Hardiplank siding, custom cabinets, 9-foot ceilings and top end appliances. 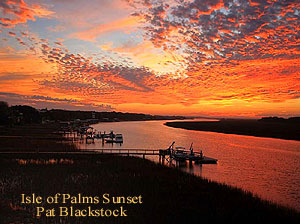 Prices range from the mid $400's with the highest priced homes being those overlooking the Stono River and its marshlands. Residents enjoy a set of amenities to which few other neighborhoods can compare, including a 90-acre nature preserve, miles of walking trails, an open-air pavilion and two floating docks on the Stono. Just 15 miles to downtown Charleston, the neighborhood is also convenient to North Charleston, less than 14 miles away via US 17. 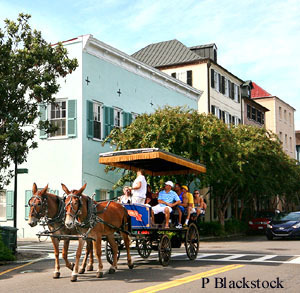 Both Folly Beach and Kiawah Island are less than a half-hour away, and the Citadel Mall and other shopping areas along US 17 in West Ashley are about seven miles away. Top local restaurants that are close include Wild Olive, Maria’s Mexican Grill and Fat Hen. School children attend Angel Oak Elementary School, Haut Gap Middle School and St. Johns High.